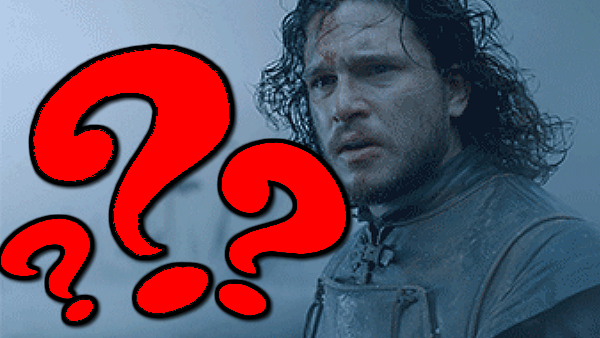 Game Of Thrones Quiz: How Well Do You ACTUALLY Know The Show? The end of Game of Thrones is upon us, and yet still so far away. Filming has recently wrapped on the eighth and final season, but it's unlikely we're going to get to see it until around April 2019 at the very earliest. So how best to fill that time? Watch something else? Go outside? Or partake in a Game of Thrones quiz to get your fix of Ice and Fire. With seven seasons, 67 episodes, and an insane amount of mythology and lore behind its huge tapestry of characters, there's a lot to try and keep up with and remember about the show. At times it can be hard enough keeping track of who everyone is, let alone knowing when they were born, how they gained their reputation, and what they had for breakfast. Game of Thrones is the biggest TV show in the world, watched by tens of millions of people every week when it's on, but how well do you really know it? All men (and women and children) must quiz, so let's play the Quiz of Thrones and find out. 1. Who Is The Very First Character To Die?